Breakfast Burritos are the ultimate morning meal on the go. 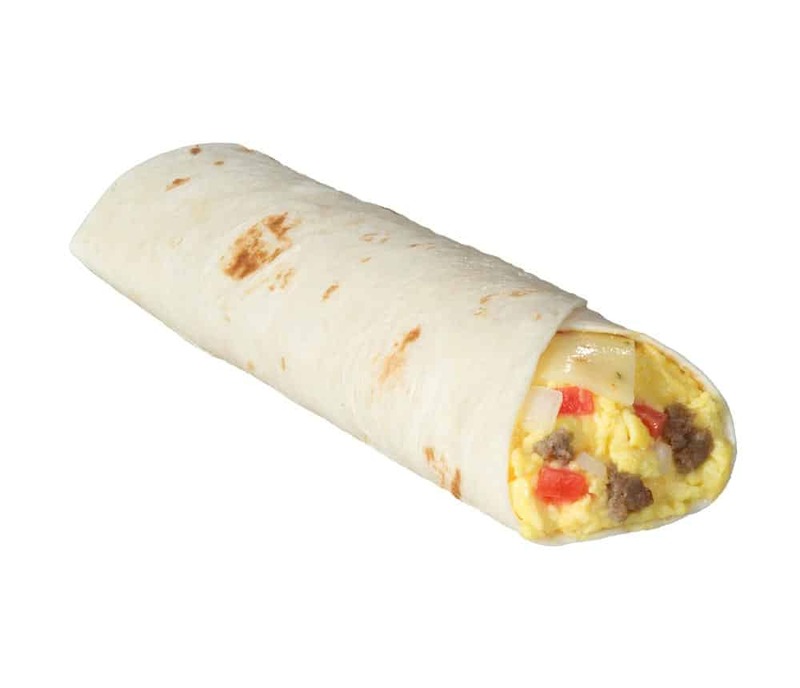 We start with a warmed flour tortilla and then we fill it with fresh scrambled eggs, lots of country sausage, mounds of Pepper Jack Cheese, fresh onions, and tomatoes. What a great start to the day!